The "Radtcliffes" have recently made it a point to up the esoteric ante on the Masonic blogosphere. I will play this game, too. A friend and Brother of mine deals in Auras for the purpose of identifying problems and healing people spiritually. He came up with the theory that certain Masonic gestures are actually opening (and he believes, subsequently closing) the Aura so that you are more susceptible to what is about to occur. When kneeling at the altar of Masonry in the Entered Apprentice Degree we have our aura opened for the first time in this particular way. After doing so, we are directed to the Lights and next receive a secret grip or token, and also a secret word, which, we are strangely told, is the name of the token - as if the token is a person. I believe that these names could be specific angelic or demonic names of spiritual entities that we are allowing into our bodies, to perform their spiritual work. In turn, it is possible that the other work that we magically attach at this juncture, the hand gestures, signs, grips, and the name or word itself, could allow us to control or direct this spiritual entity, maybe not only in ourselves, but in others who have received it, creating a sort of hive mind (beehive anyone? ), or spiritual energy pool, or egregore, if we learn how to work it properly. Thus, the True Words are names of these spiritual beings, whereas the Pass-Words are merely words used to gain admission, holding no power in and of themselves, for they have no signs attached, but have been adopted for reasons perhaps akin to those given us in the rituals themselves. At the opening of Lodge we all open our auras to the Senior Warden and Worshipful Master, in particular, and they reciprocate to us; or, in another sense, we are all opening them to each other, becoming one so that we can proceed in Unity. For this reason, it is particularly important that no contention exist amongst brethren in a Lodge room. If you have contention with a Brother who is present, you should voluntarily remove yourself from the room until you have solved the problem so that the ebb and flow of spiritual energy may be undisturbed by your ill feelings. As I mentioned above, I do not believe that we actually close the Aura. I think we open it, and it heals naturally with time. But I have heard of other ceremonies where the Aura is deliberately closed, so I believe it may be possible to do so, it just isn't part of the Masonic practice in my estimation. 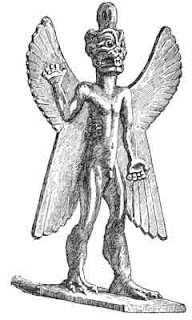 So, for those taking a tally, I believe the EA, FC, MM, Past Master, and Royal Arch Degrees each allow us to become possessed with one of these sojourning spirits, the Most Excellent Master probably does not; and the Mark almost certainly does not, it being derived from the FC. Jeff, I think that chakras and auras are a part of our mind/body/spirit complex makeup, and believe strongly that distortions in the mind will manifest in the body and block the individuals radiance. Also I think that names and words do have power, it is said that some entities prefer not to use a name because of the distortions in calling that may occur. Magical work, as you are discussing with the post, perhaps occurs when any collective or singular intention is attached to the work. In the lodge I have sometimes imagined that our ancient brethren are observing the work and been hopeful that it is enjoyable for them. The potential is there, certainly being present among brethren for work and agreement is.